The recent announcement by Capricorn Tourism and Economic Development Limited's CEO, Mary Carroll, looks like bringing to a close the ongoing saga of the failed resort development at Tanby Point near Rockhampton. The recent announcement by Capricorn Tourism and Economic Development Limited’s CEO, Mary Carroll, looks like bringing to a close the ongoing saga of the failed resort development at Tanby Point near Rockhampton. Carroll said the full council is about to consider the final points of the new application for a fully integrated 5-star resort complex to be developed on the site of the former Pearl Wellness Resort and Spa. Predictably, the revised development is not without opposition and local builder, Scott Kilpatrick, who lives near the site is concerned about height, zoning and density. The current site, which still has a derelict Balinese-style hut from the earlier, failed development, was purchased by Harry Nicol of developer Moondaze, who plans to offer 201 units, with a total of 333 bedrooms, commercial space, a premium restaurant, conference centre, lounge bar, indoor sports facility and health spa. 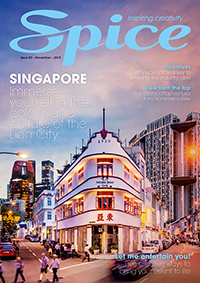 Speaking exclusively to SpiceNews’ sister publication HM magazine, Nicol wanted to remain in the background, instead spruiking the overwhelming lack of high quality resort-style accommodation in the area and the Capricorn region’s obvious suitability for this new expansion given the growing wealth from nearby mining and mineral resources sites. Industry insiders might recall Nicol was one of the founders of the giant Liquorland group of bottle shops long since sold to Coles. Nicol then went on to hotel and conferencing in NSW and Queensland before shifting his sights to North Queensland where he believes there is still much untapped potential. Nicol and Moondaze are in discussion with major resorts brands on the complete utilisation of the property. The Rockhampton Council’s planning committee has recommended the development proceed and it was expected to go before full council this week. 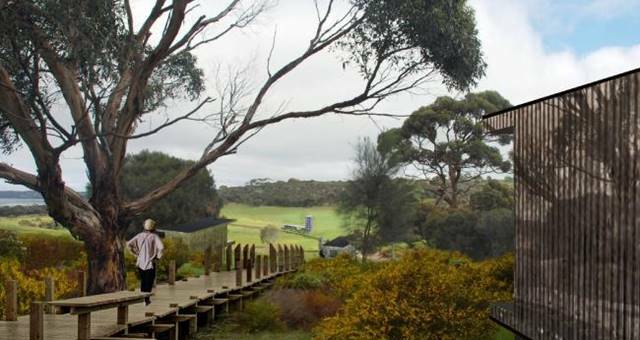 South Australia's Kangaroo Island is set to receive a new-build luxury resort. The Ville has relaunched as a retro luxury resort, following a $44 million transformation.